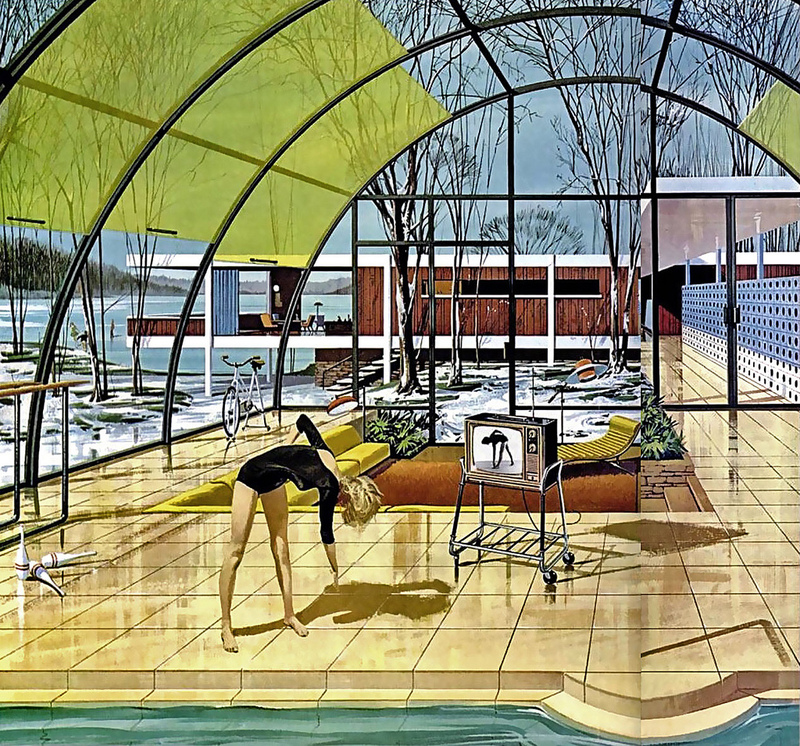 A little late-night rambling on the computer has unearthed these gems: A set of lavish 1960s ads from Chicago&apos;s own Motorola. 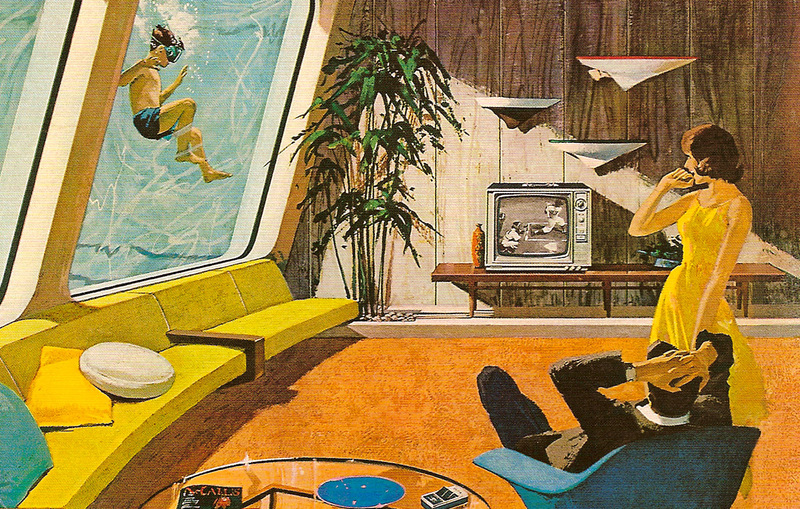 Created in 1961, the full-color ads show a fanciful and slightly futuristic lifestyle — with a moderately lounge-tiki vibe. 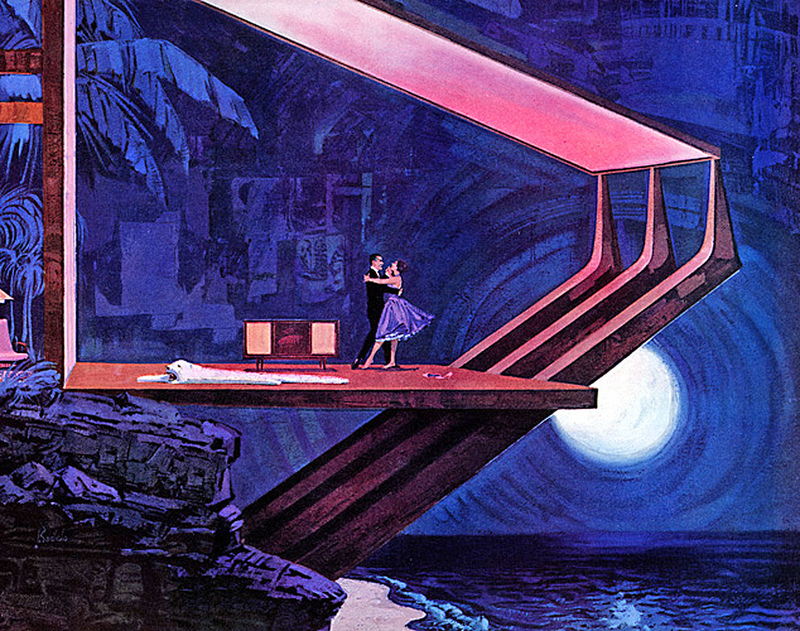 The ads ran in magazines such as LIFE and depicted people living and dancing in soaring spaces and wildly impossible interiors where palm trees, shag rugs, exposed stone and rippling exotic waters were never more than a few paces away. And neither were Motorola products. The company was once a full-fledged maker of consumer electronics, particularly at midcentury, churning out console stereos, radios, hi-fis, televisions and more, made in a plant at 4545 West Augusta Boulevard. The ads are the work of illustrator, artist and photographer Charles Schridde, who according to his bio, received a scholarship to attend the School of the Art Institute when he was 14. Schridde died in 2011. 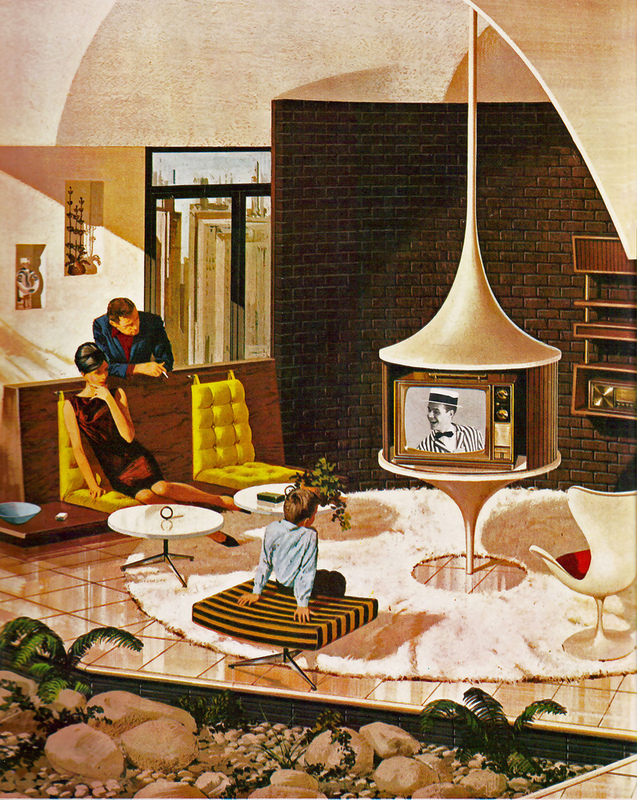 You can see more of these images at Retronaut. 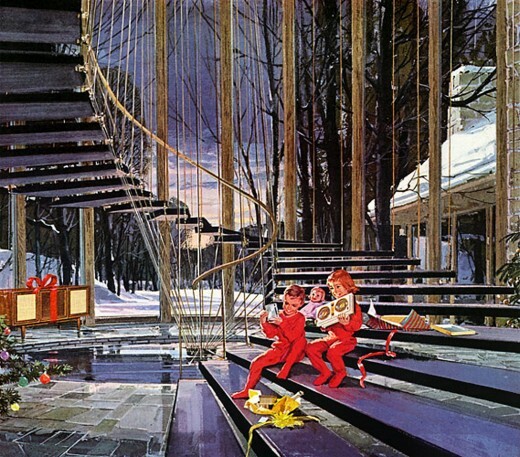 Correction: This post has been corrected to indicate that artist Charles Schridde passed away in 2011.